This is the List of pupil for promotion to higher class . For a description of the buttons please scroll down. : It will check the pupil if he is eligible for promotion or not. 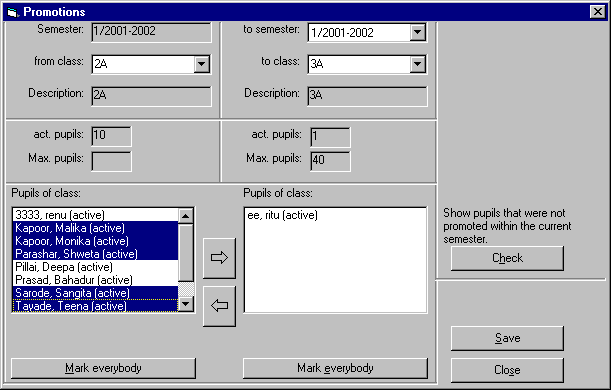 : It will select all pupil in the list to promote. : It will save the pupil in the promoted class.